If you’re one of the millions of Americans who enjoy the outdoors, summertime sounds the alarm to head off to your favorite camping spot. But if you haven’t decided yet where to go, choosing a location for your first summer camping trip is half the fun. Here are three important things to keep in mind. Really, the fun can start well before you and your family start packing as everyone can be involved in deciding where to go. Encourage each family member to suggest ideas and wishlists about where to go, what to see and what to do on the trip. Have everyone visit websites for camping in parks and campgrounds as well as tourist destinations near these places, such as museums, fairs and other local attractions. Then, plan a family meeting where everyone can get together and go over what each of you found. When it comes to destinations, national parks tend to offer the most impressive views, wildlife and natural resources around. There’s always a variety of events going on at a national park, too, so be sure to plan as much time as possible for your trip. While smaller in scale, state parks can offer some of the best family camping sites around. Plus, because there are more of them around, your drive will be shorter, making them perfect for weekend trips. Furthermore, campsites at state parks tend to be spread out a little more, so each family has more privacy than at a conventional campground. Commercial campgrounds come in all shapes and sizes. Here you’ll find a collection of car campers, RV’ers and tent enthusiasts. Some campgrounds even feature separate areas for each, so be sure to check for this option while planning your trip. Commercial campgrounds often tend to offer swimming pools, an array of athletic fields, entertainment and even their own food shops, too. 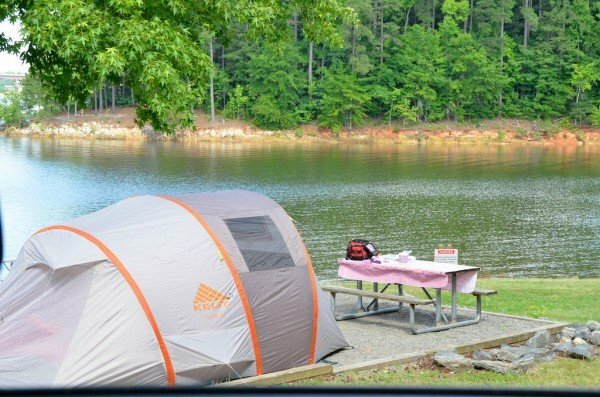 Finally, because campgrounds see repeat customers, you have a good chance of making new friends you can hang out again when you return each year.